Clusters of insignificant, green flowers appear in May and June among small, lustrous, green leaves with white margins that are pink-tinged in winter. 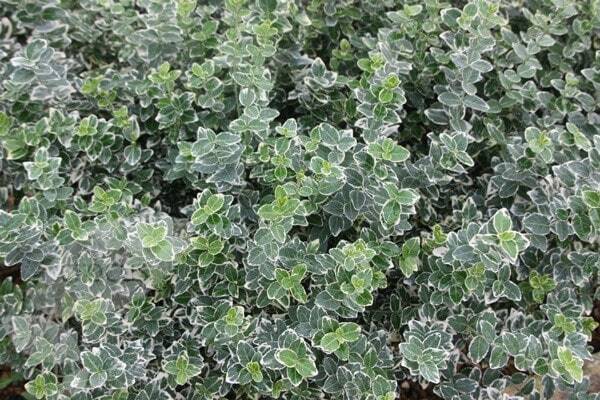 This popular, bushy, variegated, evergreen shrub makes excellent groundcover and is a mainstay of low-maintenance gardens, but it also makes a good foil for more ornamental flowering shrubs. It is tough and will thrive in any well-drained border in sun or partial shade. Garden care: Tip prune young plants in mid to late spring to encourage bushy growth and apply a generous 5-7cm (2-3in) mulch of well-rotted garden compost or manure around the base of the plant. Remove any plain green-leaved shoots as soon as they appear, cutting them back to the original branch. Adding a light variegated elegance to a spring border. 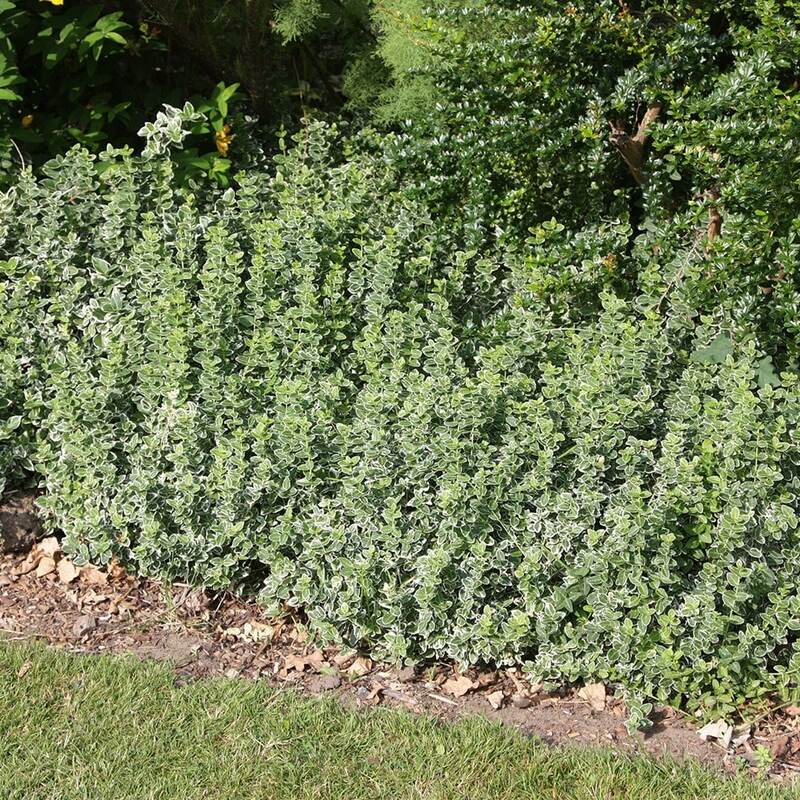 Give an all year groundcover without heaviness. A good foil to spring bulbs.